Our cans are available to take out from The Cadogan, The Beerhouse and The Crown (and will be available from The One Bull as soon as we’re able to re-open following the fire next door). They are also stocked at Abbeygate Cinema and Beautiful Beers in Bury St Edmunds, Alder Carr Farm in Creeting St Mary and Suffolk Food Hall in Wherstead. 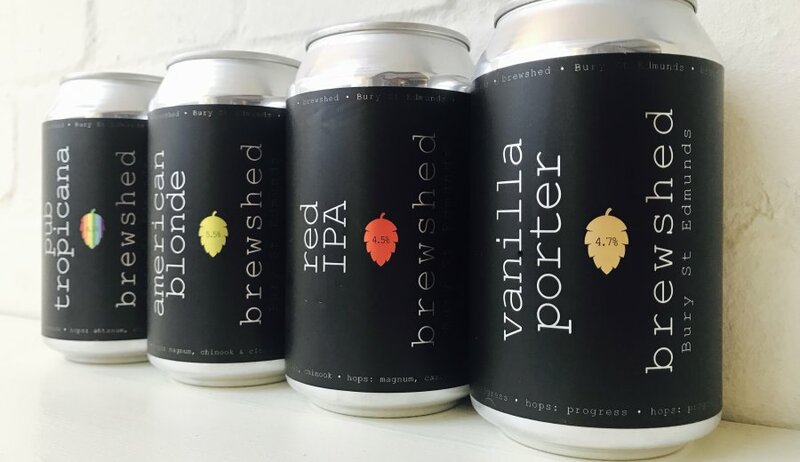 If you’d like to talk to us about stocking our cans, please get in touch on 01284 830250 or e-mail info@brewshedbrewery.co.uk.